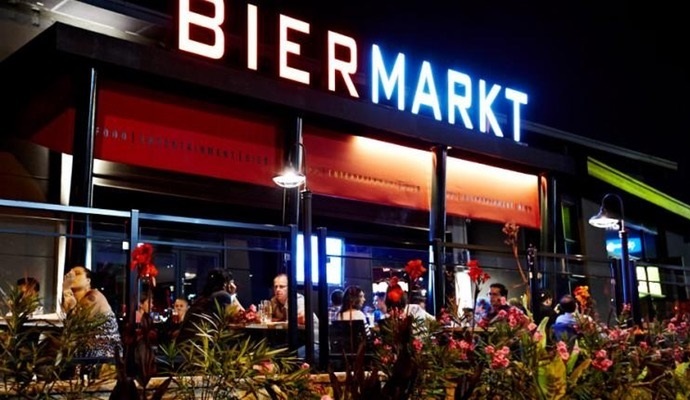 Espace MicroCaps is glad to invite you to its thematic cocktail event about SmallCap Discoveries, at the Bier Markt Montreal on Tuesday, September 18th at 5:00pm. Smallcap Discoveries is an investment newsletter with a focus on the Canadian microcap sector that was founded by Paul Andreola and Brandon Mackie. Their methodology is based on what they call the ”Discovery process”: invest early on when nobody knows about the company and sell to institutions much later when the company gets discovered. The event will showcase two companies that were profiled by SmallCap Discoveries, XPEL (TSX Venture: DAP-U) and Atlas Engineered Products (TSX Venture: AEP). To conclude the evening, Paul Andreola will introduce Brisio Innovations (CSE: BZI), the public company he leads as CEO. Cost: 5$ / All of the ticket sales proceeds will be given to Prosper Canada, a national charity dedicated to expanding economic opportunity for Canadians living in poverty through program and policy innovation. The first 75 participants to register and to show up at the event before 5:30pm will receive a 10$ coupon for a free drink of their choice. No coupons will be given after 5:30pm. The presenting companies have been picked based on SmallCap Discoveries recommendations. In our opinion, the three companies have excellent business models, strong fundamentals and attractive long-term prospects. About: Brisio Innovations is an investment holding company led by Paul Andreola, a highly successful Canadian investor and co-founder of SmallCap Discoveries. Brisio invests its capital in companies and opportunities which management believes are undervalued and have the potential for significant appreciation. The company makes investments in both public and private markets and focuses on opportunities in a wide variety of industries excluding the resource and resource services sectors. Last March, Brisio announced a major transaction: the acquisition of NameSilo, one of the fastest growing domain name registrars in the world. Opportunity: When Brisio announced the closing of the NameSilo acquisition on August 9th, it also provided an operational update about its new subsidiary. Investors learned that NameSilo grew its domain names under management by 86% over the last 12 months and posted record sales in July. Management also unveiled some of the growth initiatives it plans to implement, so the coming months will be extremely interesting to follow for Brisio and NameSilo. As a matter of fact, we like the opportunity so much that we even profiled the company as one of our top picks in a recent article on the blog. About: XPEL leads its industry in designing, manufacturing and distributing high-performance automotive paint and headlamp protection film technologies. Using XPEL’s proprietary software and materials, the company’s professional design team develops products that deliver the ultimate in vehicle protection, meeting the demands of a broad range of makes and models. With more than 70,000 vehicle-specific applications and a global network of trained installers, XPEL is dedicated to exceeding customer expectations in providing high-quality products, customer service and technical support. Opportunity: As long-time readers of our blog know, we have been supporters of XPEL for many years and have watched the company go through good and bad times. Most notably, XPEL had to defend a lawsuit against 3M (NYSE: MMM) in 2016 and early 2017 (ultimately settled without any significant impact) and made important growth-enabling investments over the last two years which hurt profitability temporarily. Fortunately, it seems like XPEL has now turned the corner after announcing record financial results for the first half of 2018: revenues were up 82% over the first half of 2017, EBITDA improved 229% and net income improved 543%. With the strong current momentum, XPEL definitely is a company that should be on any investor’s radar! About: Atlas Engineered Products Ltd. is a leading supplier of trusses and engineered wood products. Atlas was formed over 18 years ago and operates manufacturing and distribution facilities in British Columbia, Ontario and Alberta to meet the needs of residential and commercial builders. Atlas has expert design and engineering teams, multiple-shift state-of-the-art truss manufacturing operations, and large inventories of engineered beam and flooring components. Atlas aims to grow its base of business across Canada by pursuing an aggressive acquisition and consolidation and product diversification strategy. Atlas wants to bring its construction industry partners across Canada unparalleled excellence in service, product, and support. Opportunity: The industry in which Atlas operates is highly fragmented, being comprised of approximately 300 small operators across Canada. Many of these companies are headed by owner-managers and Atlas represents an attractive exit strategy for those looking to retire. Because Atlas is the only consolidator in the Canadian market, it can purchase companies at very low prices, making it highly accretive to revenue and earnings. On August 14th, Atlas announced its biggest acquisition to date, one which will nearly double revenue and increase EBITDA significantly. The company is currently conducting a $5 million private placement to pay for part of the purchase price, which might represent the last opportunity to accumulate shares at what seems like a very attractive valuation! Now that September has arrived, it’s time to resume the search for the best investment opportunities on the Canadian market. With appetizers, a poutine bar and three very promising companies, this evening will certainly not leave you feeling hungry! Again, to book a ticket, please click here. We hope to see many of you on September 18th! Espace MicroCaps is under contract with Rivemont Investments (“Rivemont”) to provide securities and strategy analysis for the Rivemont MicroCap Fund (the “Fund”). In other words, Espace MicroCaps acts as external expert/consultant for the Fund. In return for this expertise, Espace MicroCaps is remunerated by Rivemont. Decisions as to whether or not to trade a security for the Fund are made exclusively by Rivemont. Holds securities of Brisio Innovations (BZI.C) and XPEL (DAP-U.V). Doesn’t hold securities of Atlas Engineered Products (AEP.V). Although the Fund does not hold any securities of this company as of today, the Fund may acquire these securities in the future. Mathieu Martin personally owns securities of Atlas Engineered Products (AEP.V). The main objective of the 5to7 Cocktail events that we hold on a regular basis is to allow very small companies to present their products and services and to tell their story to a new investing public. Each company that will present at the event will pay Espace MicroCaps an amount of $2,000 + taxes. This amount is used to cover the cost of drinks and hors d’oeuvres offered during the meeting and to compensate Espace MicroCaps for the efforts related to the organization of the meeting. Company presentations are neither an offer to sell nor a solicitation of an offer to purchase securities and should not be considered legal, tax, financial or investment advice. Espace MicroCaps is not responsible for direct or indirect trading losses caused by the information presented by companies at the event. Everyone is advised to make their own analyzes and inquiries and to consult their own professional advisers with respect to legal, tax, accounting and other matters relating to the acquisition, holding or disposition of an investment.